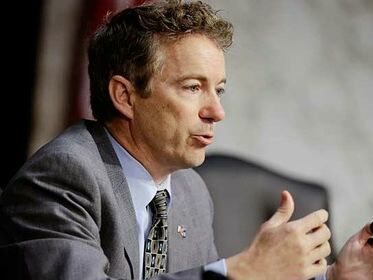 Rand Paul On Schumer-Rubio Immigration Plan: "To Me, It's A Little Bit Like Obamacare"
SEN. RAND PAUL: I am worried that the bill before us won't pass. It may pass the Senate, may not pass the House. I want to be constructive in making the bill strong enough that conservatives, myself included, conservative Republicans in the House will vote for this because I think immigration reform is something we should do. In this bill I am worried, though, and this is similar to what Senator [Ron] Johnson said, that it says, well, you have to have a plan to build a fence, but you don't have to build a fence. And if you don't have a plan to build a fence, then you get a commission. I don't know what happens if the commission doesn't do anything. That's the story of Washington around here.